Finally, it’s here! The season we all love to hate, the season to be jolly, the season to glut, revel and rejoice; mince pies, brandy wine, mistletoe, mulled wine, bright glittery lights, Terry’s Chocolate Orange, roast tatties (more than usual), and some more wine (errherm)! Refusing to milk the festive cow is considered nothing short of lunacy. 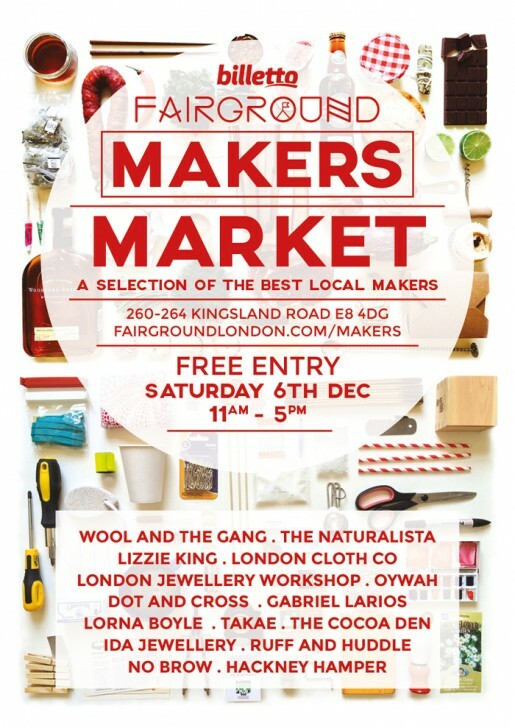 And as we’d like to milk for all we can, we’ll be kicking December off with an ole’ fashioned stall at a Christmas fair. We’re joining the likes of Wool and the Gang and the Cocoa Den at the Maker’s Market at 260-264 Kingsland Road on Saturday 6th of December to share in some creative cheer with London’s finest craft-minded folk. You’d be silly not to join us. 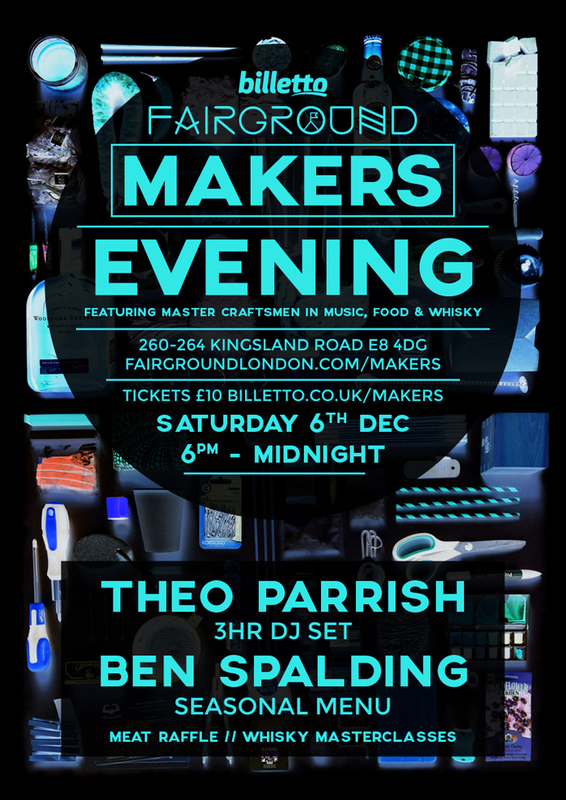 A one off celebration of London’s vibrant Maker Movement featuring some of the capitals finest talent across music, food, drinks and retail. Housed in Fairground’s temporary home in a disused office block in Haggerston, a bespoke programme for both day and night will showcase the very best thinkers and tinkerers. Each level by day will have a distinctive theme, starting at Level One will be a Makers Market, showcasing some of the best artisanal creators, artists, producers and brands. Level Two and the Makers Lounge will provide an opportunity for physical exploration with a diverse programme of workshops. Top floor and the Makers Kitchen on Level Three will see a carefully crafted menu by critically acclaimed Ben Spalding using handmade ingredients cherry-picked by Hackney Hampers. Makers at night is all about enjoying the craft of some of our favourite rebellious independent creators. Our exclusive music showcase will be in the hands of a very special guest Theo Parrish, his special three hour set will no doubt fuse techno, house, disco, jazz and afro beat, as he works the EQ hard to transform often well known tracks into stunning live interpretations.